Did you miss me while I was on the longest vacation of my life? Chances are, if you're a loyal reader, I probably saw you while I was visiting San Fran, Pittsburgh, or Boston, since I basically invited myself to each of my friend's homes at some point. 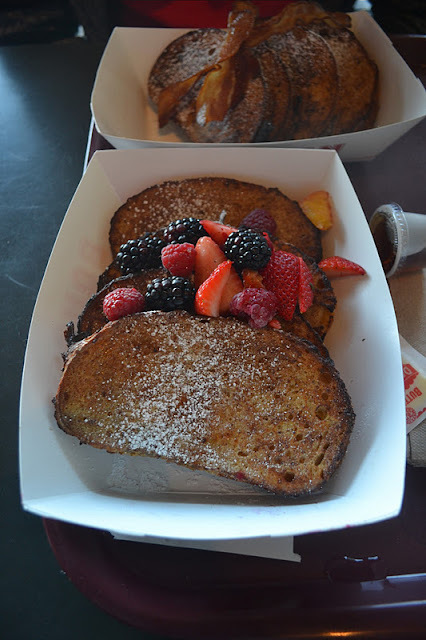 I ate more than humanly imaginable but I'll try to tell you about all of the fantastic food from the trip! Especially since it's a new year and I'll be consuming only healthy and boring-and-not-blog-worthy foods for the time being - I'll get caught up on blogging my travels while secretly sneaking (and not photographing) girl scout cookies from my freezer! The first stop on our traveling adventure was San Francisco! 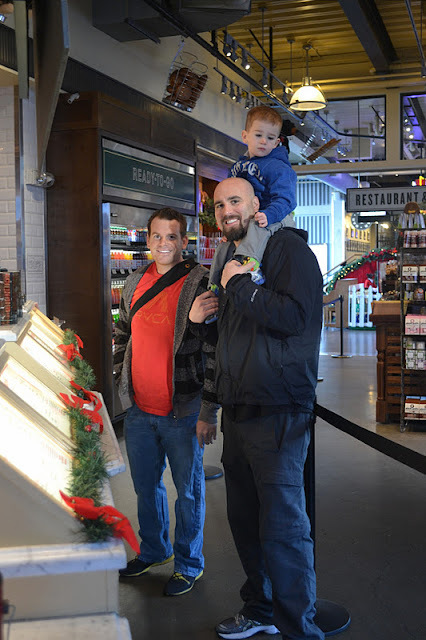 Bryce and I arrived bright and early on a Saturday morning and his good friend/former roommate Morgan picked us up from the airport with his ADORABLE son Kaleb. 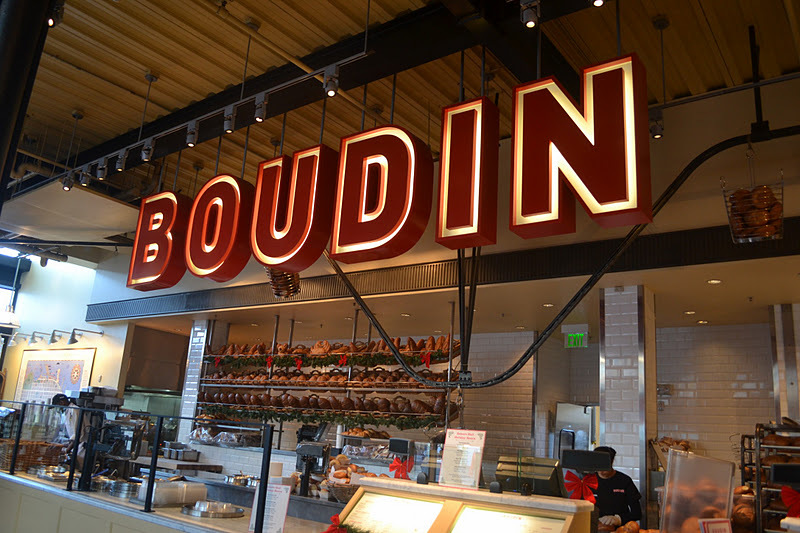 We promptly headed to Fisherman's Wharf and stopped for breakfast at the famous Boudin Bakery. These three lovely gentlemen were my company! Kaleb wasn't too excited to be up so early. Sourdough bread bowls filled with clam chowder were the motivating factor for my trip to SF, but I thought I'd be a normal person and order breakfast food. 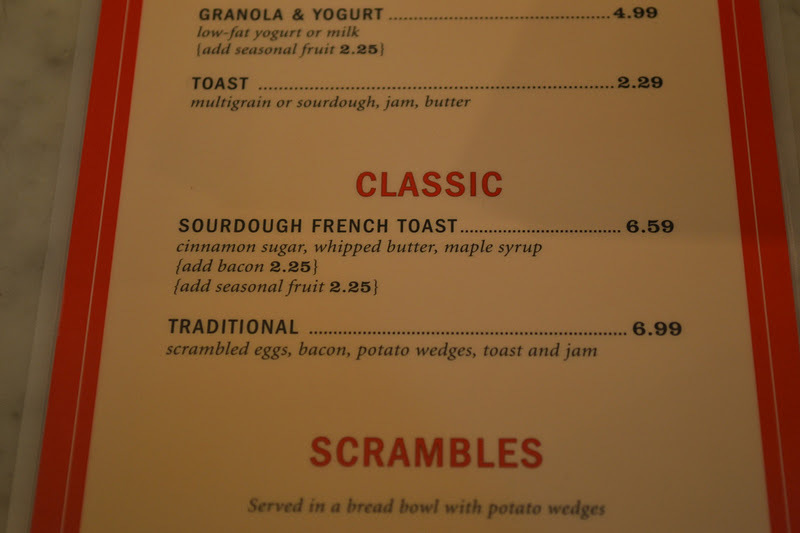 Thankfully, breakfast options include sourdough at bakeries in San Fran - duh! The choice was simple... sourdough french toast with cinnamon sugar, whipped butter, maple syrup, and the added fruit option, making the whole meal totally healthy and calorie-free, right?! Each order came with 4 slices and we should have just gotten one to share, it was so much food! MMMM bacon. After breakfast we were off to Alcatraz (willingly), but not before checking out the giant sourdough alligator! He looks a little well-done, don't you think? ...where I got my much anticipated sourdoughbreadbowlwithclamchowder!!! Yeah right! The chowder was so stinking delicious that I'll never eat any other chowder again because it won't measure up to this creamy and rich soup from heaven. The pieces of clam were big, tender, and so yummy. I scooped the bread bowl out so aggressively and precisely that it could have been made into a bread pinata - filled with croutons and beaten with baguettes!